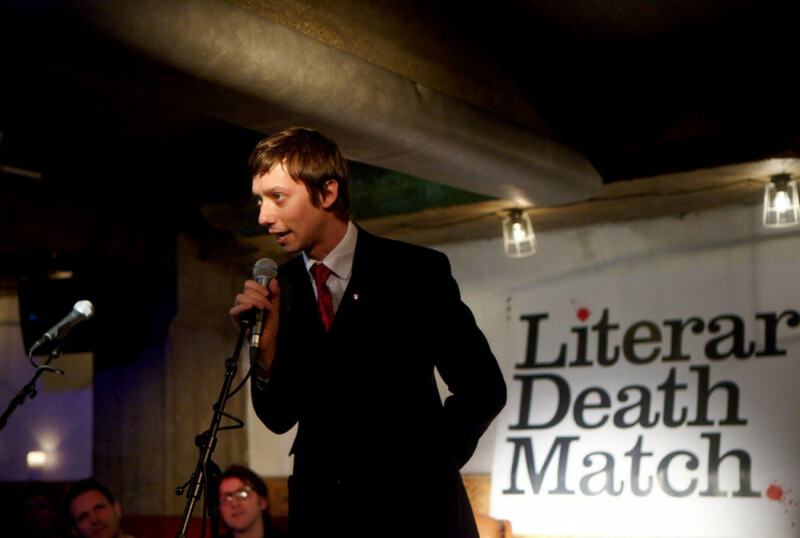 People leave the house for two reasons: “to make out with somebody and to be surprised,” said Adrian Todd Zuniga, the host and founder of Literary Death Match. And he’s hoping audience members will be duly satisfied when Literary Death Match Episode Trois pulls into La Sala Rossa on Tuesday night. The event, hosted by Zuniga, sees the four writers “compete” by reading their most eclectic works before a panel of three judges. Tuesday’s panel will include writer and Concordia grad Natalia Yanchuk, most widely known as The Dears’ lead singer and keyboardist, author Joel Yanofsky and Montreal comedy scene hotshot George Hamilton Braithwaite. Over dinner with friends six-and-a-half years ago, Zuniga came to the conclusion that typical book readings tend to be boring. While these types of literary events serve a key function for both emerging and established writers, they rarely attract people from outside the writing community. Zuniga figured that there must be a way to present works of literature in a unique and entertaining format that would appeal to a broader audience. And after 240 shows in 43 different cities around the globe, it seems like Literary Death Match has filled the void. Four local up-and-comers will be featured at Tuesday’s event including Taylor Tower, a regular at Confabulation and This Really Happened storytelling events as well as a contributor for CBC’s Wiretap, food blogger Jonah Campbell, author of Food and Trembling: An Entertainment, award-winning poet Gabe Foreman and Branka Petrovic, whose poetry has appeared in The New Quarterly and The Malahat Review. The judges provide commentary and then select a winner from each of the two rounds based on merit, performance and “intangibles” with one judge responsible for each category. The two finalists compete in the finale, the so-called death match, a special challenge that is never revealed until the very end. Past finales have included such whimsical contests as playing musical chairs with the audience, pinning James Joyce’s moustache on Ernest Hemingway or throwing flaming pieces of paper through a basketball hoop. As of yet no one has actually perished as a result of these death matches. Adding such antics do not take away from the great work produced by the writers but serves to enhance its appreciation. Literary Death Match is about “trying to get people out of their context or comfort zone as much for the writers as for the judges,” said Zuniga. Carmen Joy King, a Montreal writer and Literary Death Match Montreal executive producer agrees. “[It] doesn’t detract from the seriousness of what you’re hearing or the quality of the great writing,” she said.